Very interesting map of the American Southeast ("French Florida"). 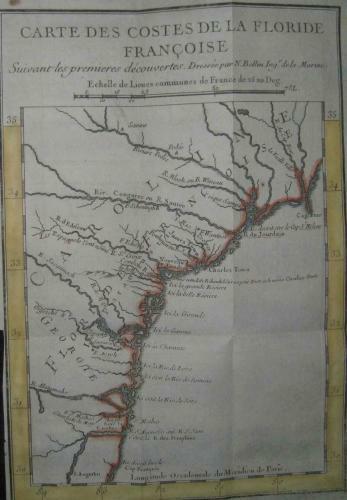 Published in Charlevoix's Histoire et Description de la Nouvelle France, Paris, 1744. In very good condition with only a small mark at top left margin, and original folds.